A summer twist, seafood salad. Yum! 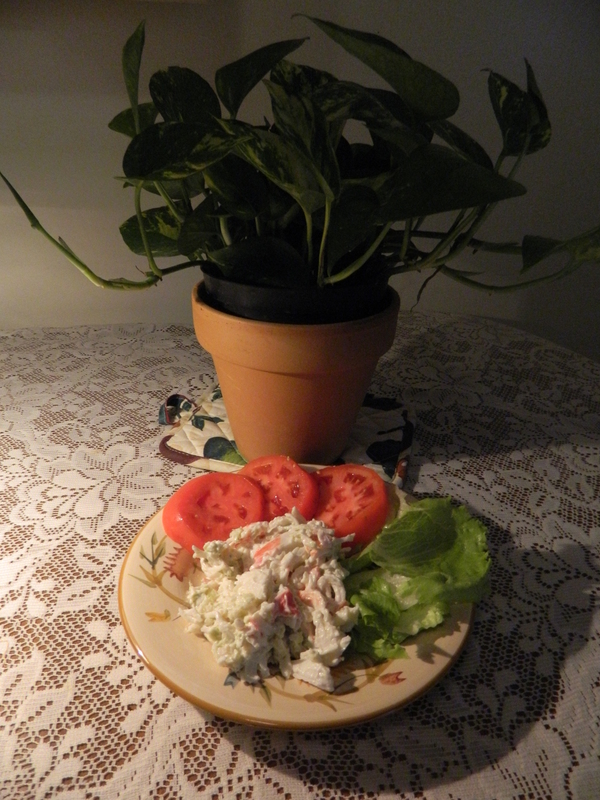 A summer twist from her daughter Jackie of Seafood Salad with B&M Raisin Brown Bread and Boston Baked Beans has been added to Mom’s Recipe Box. Awhile back Aimee Seavey wrote a delightful food piece titled “B&M Brown Bread in a Can” for Yankee Magazine’s newsletter “New England Minute”. 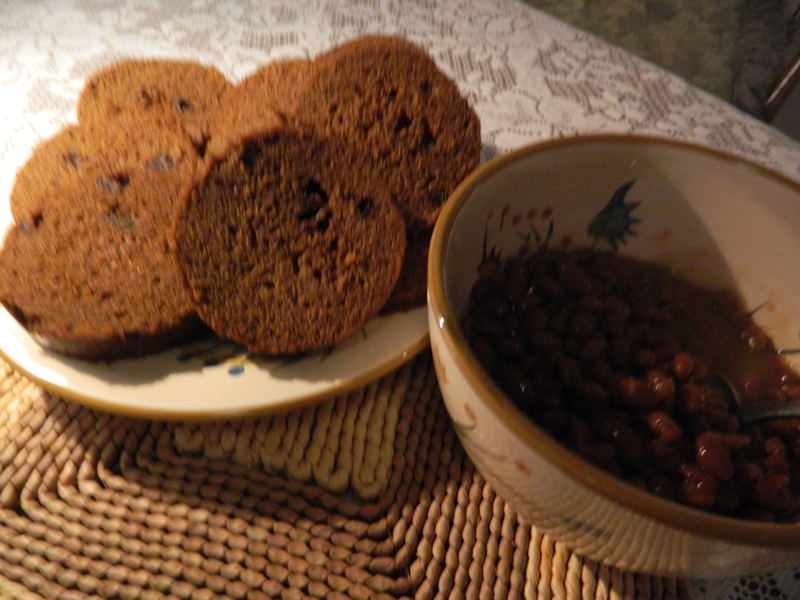 She spoke of canned B&M Brown Bread and B&M Beans made in Portland, Maine as a New England Saturday night supper favorite. True. Growing up in my Connecticut home it was especially popular during the autumn and winter months served with poached egg topped corned beef hash. With the hot weather having settled in, and my recent discovery of B&M Raisin Brown Bread at Price Chopper ( the raisin variety is what I like best, but until now I had only been able to find the original plain brown bread in other markets) I decided to put together my own B&M meal with a summer twist – the addition of seafood salad. For those of us watching our salt intake it is best to enjoy but a nibble of anything from a can with highish sodium content. So a tasty nibble it will be for me. Should you decide to try this, open both ends of the brown bread can and slide out the rounded loaf. After slicing, be sure to warm the loaf slightly in an oven or on a grill. 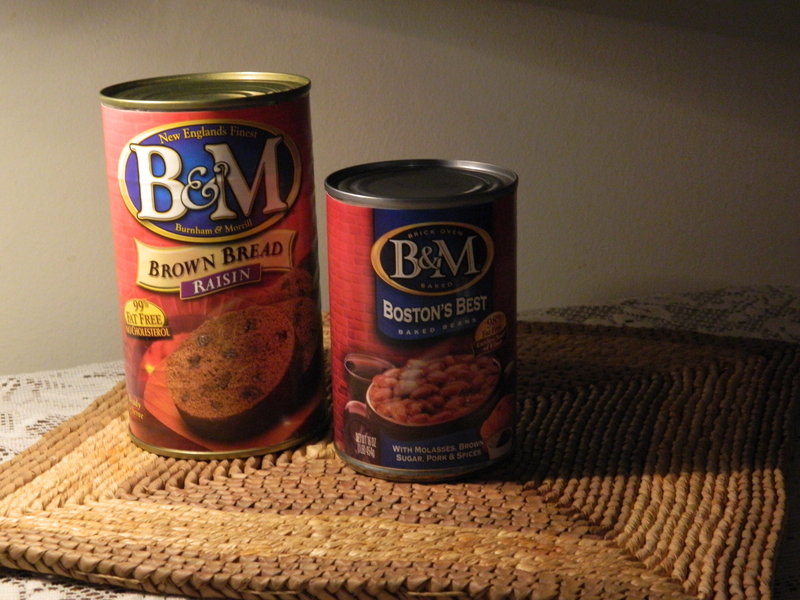 My preferred flavor of B&M Beans is Boston style. Simmer the beans beforehand in a crockpot. When it’s time to eat, spoon the deli fresh, chilled seafood salad onto a plate. 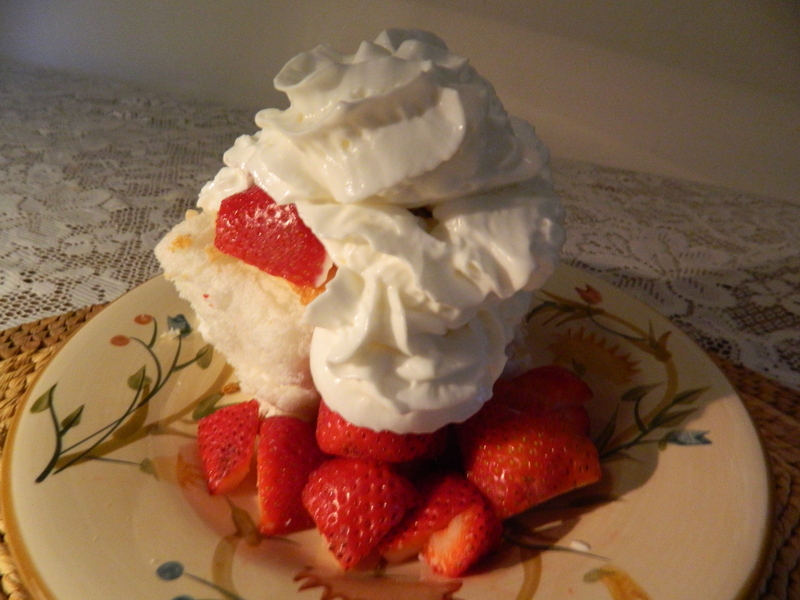 For a light dessert, try a piece of bakery made Angel Food Cake crowned with freshly sliced strawberries and fat-free whipped creme. 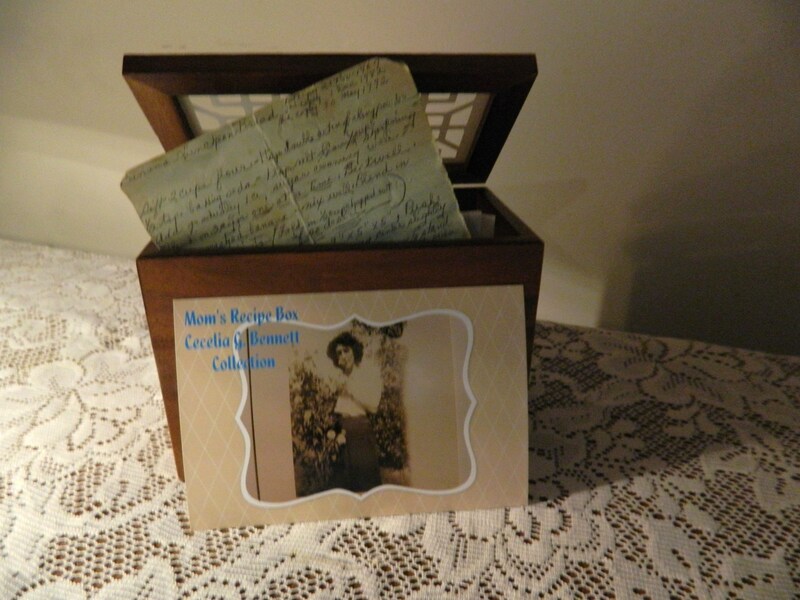 Look for Mom’s Recipe Box as an occasional feature as I add to and celebrate my mother’s collection of recipes – the Cecelia G. Bennett Collection.